Arlington Gard-N-Post™ Collection Support in white color, has UV-rated plastic construction for long-life durability. It features built-in stabilizers and openings on both sides of the post for back-to-back power. It has an angle cut post for easy access to underground wiring. 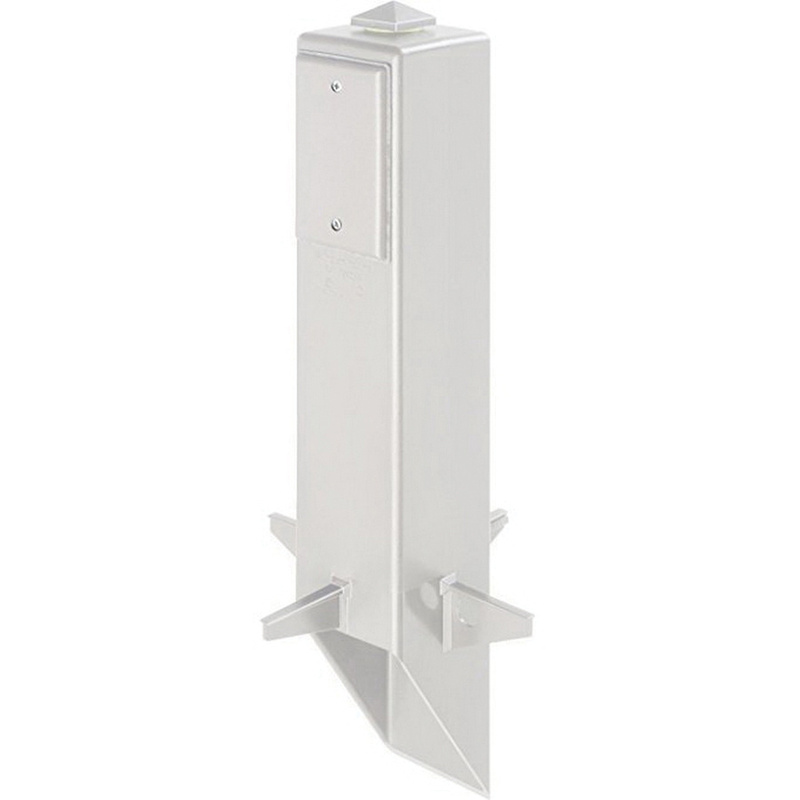 This support includes 19.5-Inch gard-n-post, 3/4-Inch x 1/2-Inch reducing bushing, locknut with copper ground wire, blank device plates, gaskets, plug for top hole, low voltage separator and removable KO plate. It is suitable for use with outdoor light fixtures and GFCI device. The support meets UL and CSA standards.